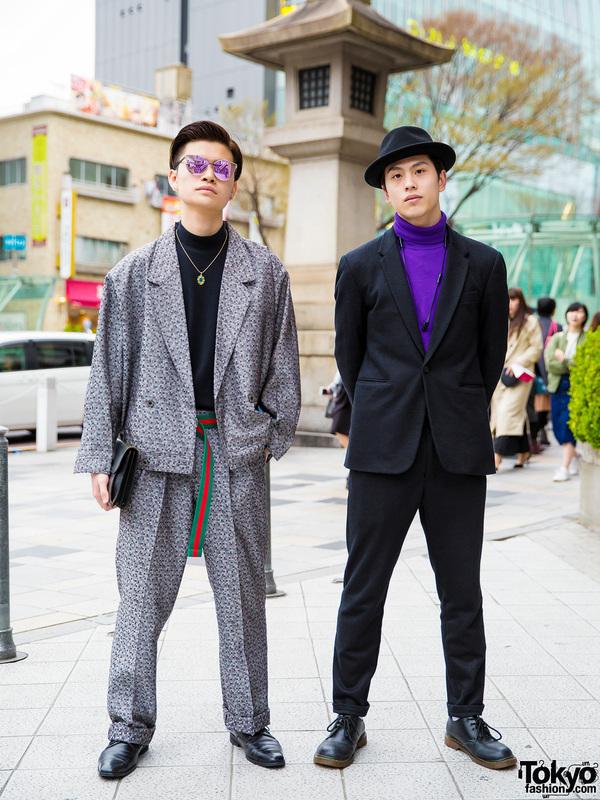 Harajuku guys sporting menswear suit fashion while out on the street one afternoon. Takui wearing a Comme des Garcons blazer and Fumika in a Faith Tokyo trench coat. 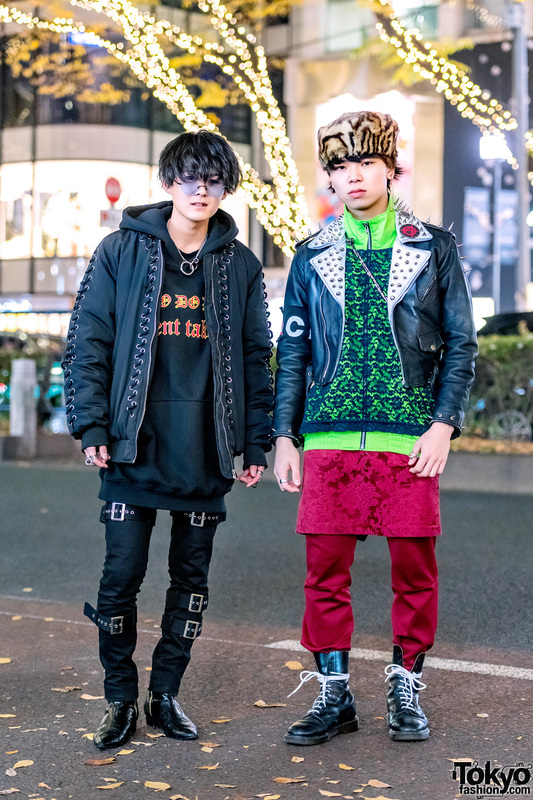 Harajuku avant-garde street fashion with all-black outfit, pink hair, and multiple piercings. 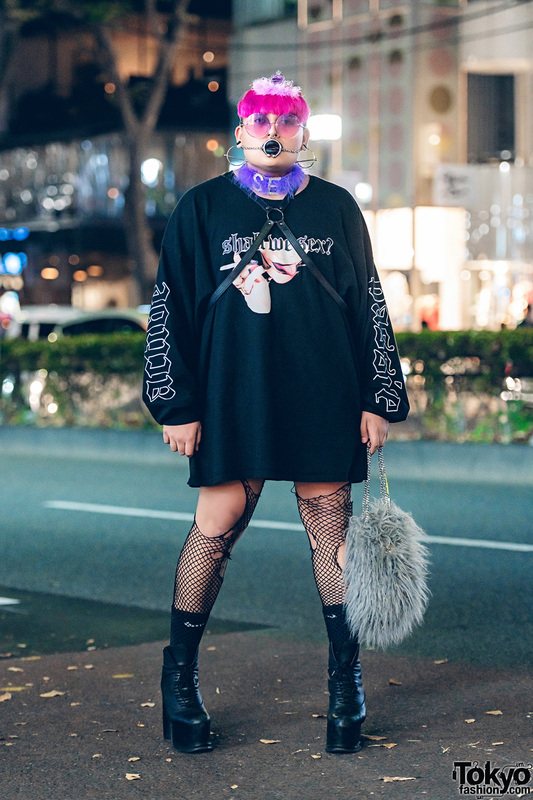 Japanese student wearing head-to-toe black while out and about in Harajuku. 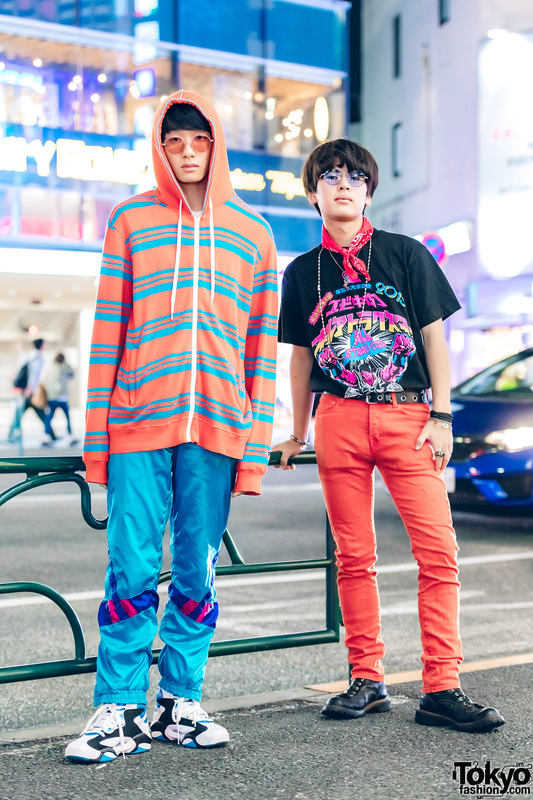 Japanese male students showcasing colorful streetwear while out and about in Harajuku. 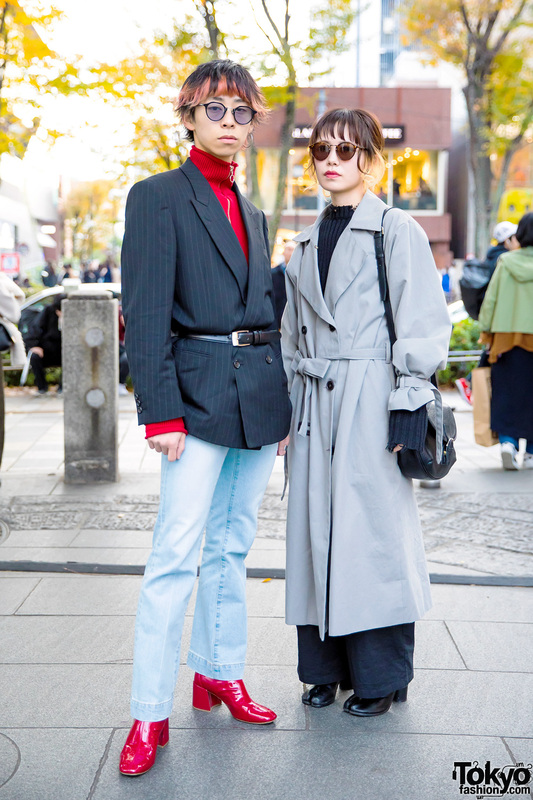 Stylish ladies in casual-cool streetwear while out and about in Harajuku.